Sorry for being MIA, everyone! Studying and class are kind of taking over my life right now, The CFP exam is officially less than 2 months away (July 30) and I’m starting to freak out a bit, which leads to studying in allllll of my spare time (which feels like it’s evaporating…) We had a pretty great Memorial Day weekend, how could a long weekend not be great? Matt’s parents were here for part of the weekend and then we had a BBQ at our friend’s on Memorial Day. Out contributions were both past recipes from here, and both were hits so if you haven’t made the Light Dessert Or Blackberry Salad yet, you should. We’re actually borderline obsessed with the blackberry salad and have made it about 4 times since trying it 2-3 weeks ago. It’s that good. Oh and I updated the week 44 post to include a picture of the Grilled Chicken with pineapple avocado salad (we made it again this week), so check that out too! 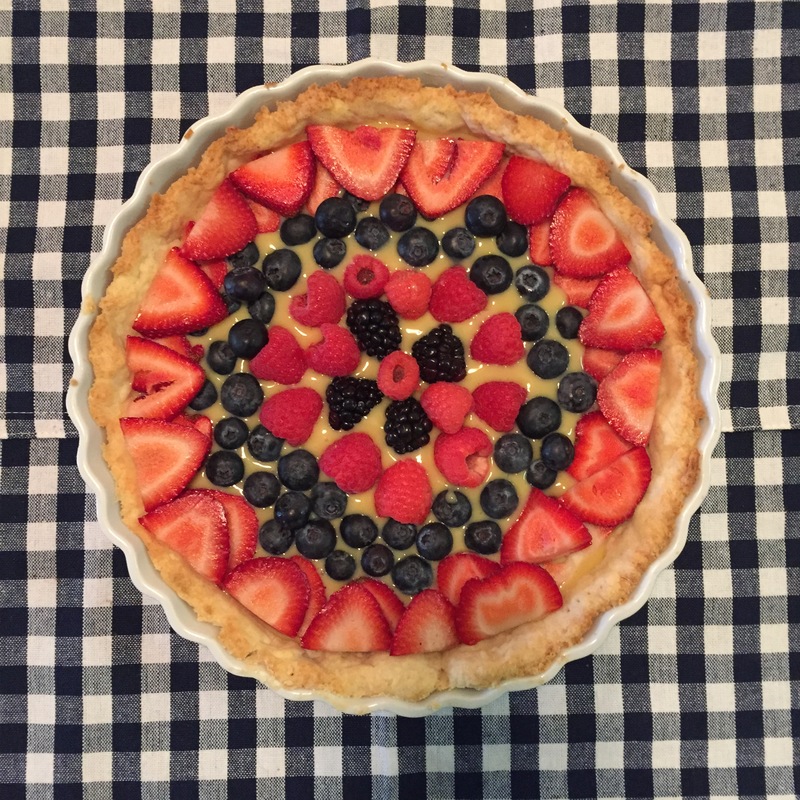 So we did a couple new recipes two weeks ago, but I still need to translate the one for the Tarte Aux Fruits so you get one recipe and pictures of the tarte. The chicken is pretty basic. 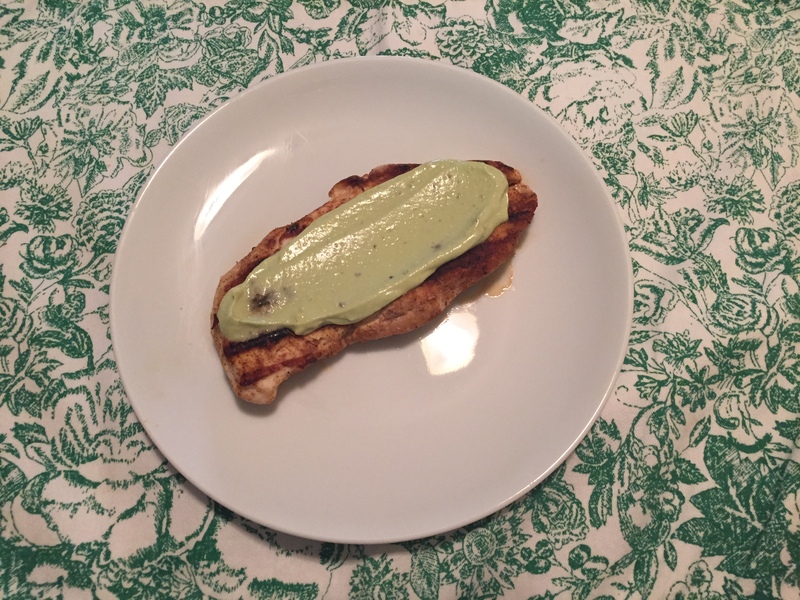 The avocado sauce was nice to do something different with grilled chicken. We’ll definitely make it again, it was too easy not to! The tarte was a little more involved, but amazing, as I remember it being. It was recipe from high school French class, I still have my recipe packet from our cooking unit. Thus the need for translation. Season the pounded chicken with seasoning. Lightly coat a large frying or grill pan with nonstick cooking spray. Over medium-high heat, cook chicken breasts for 7 minutes on each side, or until cooked through. Meanwhile, prepare the Avocado Cream Sauce by blending Greek yogurt, avocado, lemon juice, garlic powder and salt in a food processor. To serve, place about 2 Tbsp of Avocado Cream Sauce and ½ Tbsp green onions on top of each chicken breast. Add flour, salt, sugar, butter, and Crisco to a food processor. Mix for 10 seconds, until it forms small pieces. Stop the food processor when the crust has formed one ball. If the crust is too moist, add flour. If it’s too crumbly, add water. Wrap the ball in saran wrap and refridgerate for 1 hour. Keeps for 1-2 days in the refrigerator, or 1 month in the freezer. When ready to bake, preheat the oven to 450 and roll out the dough with a rolling pin on a floured surface. 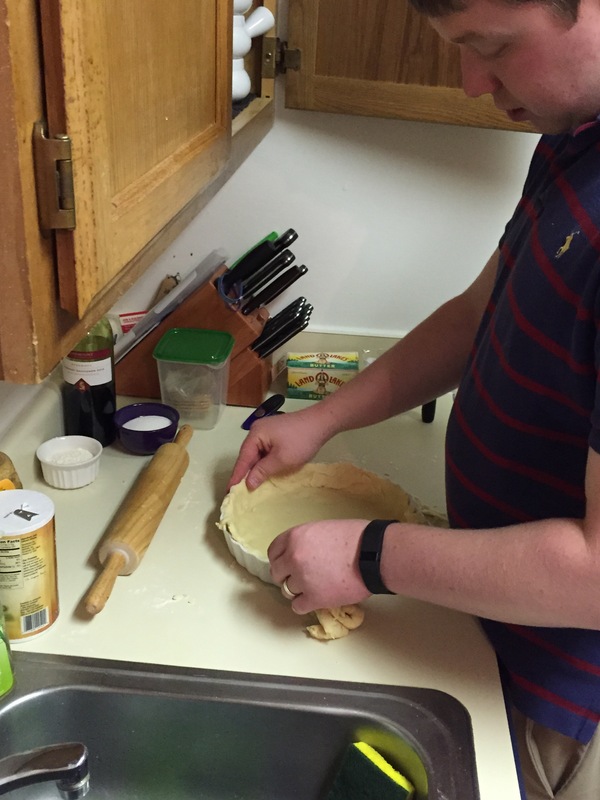 Place the crust in a 9” quiche dish and make sure it’s up on the sides. Cut off any excess crust. 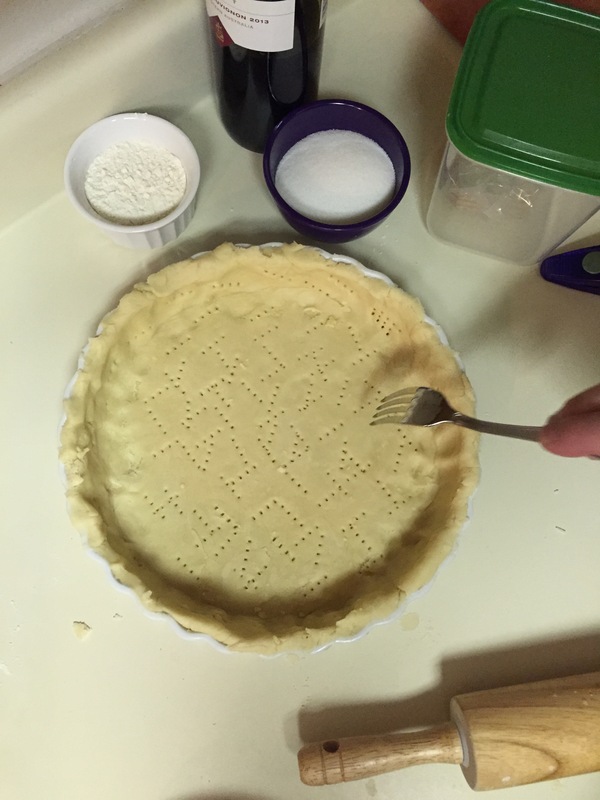 With a fork, poke tiny holes in the crust, on the bottom and sides. Butter (or spray with pam) a piece of parchment paper and place the buttered side down on the crust. Top with rice, or dried beans, or something to weigh down the paper. Cook for 01 minutes with the weight in the crust, the remove the paper and weights and cook another 5 minutes, or until crust is golden. Heat the milk in a microwave for 1-2 minutes on medium heat. In a food processor or mixer, mix the egg yolks and ½ cup sugar, until dissolved. While the machine is running, add 1/3 cup flour and mix for 20 seconds, then add 1 cup milk while still running. Pour liuid into a microwave safe bowl. Cook in the microwave on medium heat for 2 minutes, take out and mix, cook another 2 minutes. Once the cream is almost thickened, cook 1 more minutes (this should take 5-7 minutes or more). You can also do this on a stovetop, but mix constantly and make sure it does not burn! Add 1 Tbsp butter and 2 tsp vanilla and mix the cream. Cover with plastic wrap so that it is touching the top of the cream in the bowl (to avoid a skin form forming), and refrigerate until cold. When ready, add cream to tarte crust and stop with desired fruit toppings.